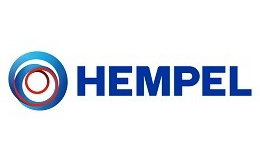 Hempel is one of the biggest in the world suppliers of paints for decoration, land, marine, cargo or jacht industries. Their aim is to guarantee better protection and longer lasting endurance of their investments, which is why their efforts focus on research and development, introducing new methods of production and providing professional advice for the best painting solutions. They follow simple rules – they are thorough, creative and they believe in self-criticism. They always try their best to make sure their clients choice to use Hempel products generates additional benefits for their clients.